SPEAKER CABLES. Raw Wire on one end. SNAKE CABLES. PA SPEAKERS. 16 Gauge Wire. Length: 15 Feet. One Year Warranty. Condition: NEW. TC HELICON SINGTHING MONITOR ATTIVO 150 WATT CON PROCESSORE EFFETTI PER VOCE INTEGRATO MICROFONO MP75 CAVOOgni locale Š diverso, ma il TC-Helicon SingThing Š pronto per tutti. TC HELICON SINGTHING MONITOR ATTIVO 150 WATT CON PROCESSORE EFFETTI PER VOCE INTEGRATO MICROFONO MP75 CAVO. Kabel & Zubehör. Spitzenleistung: 600W. Timo Schmitz Sound & Light ist seit 2017 im berreich der Veranstaltungstechnik aktiv. Anschluss: 2 x Speakon 1 ,1- (2 ,2- N/C). DAP Audio | 6,3mm K. DAP Audio | 2x 6,3m. Troverete decine di applicazioni per questi piccoli diffusori dal grande suono! BEHRINGER 1C BK - UNA COPPIA DI DIFFUSORI MONITORS PASSIVI ( ALTOPARLANTI MULTIUSO E DA ISTALLAZIONE PASSIVI ). Quando si vede e sente quello che possono fare, avrete acquistato un prodotto BEHRINGER di qualit… ad un ottimo prezzo e risparmiato. Atlas Sound Weitwinkel Horn – Lautsprecher APC 30 . Hornlautsprecher 8 Ohm 30 Watt „Made in USA“ . Lautsprecher /Loudspeaker. Schraubanschluss / Screw connector. Atlas Sound APC-30 8 Ohm 30 Watts Wide Angle Horn Loudspeaker . Subwoofer universale da sottosedile, dalle eccellenti performance. Potenza di picco in ingresso 150W. Massima potenza di picco 150W. Massima potenza in uscita (4 ohm) 150W x 1. Powered subwoofer. Tipo di speaker Subwoofer attivo. 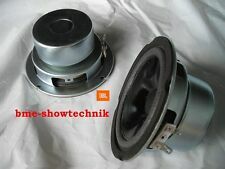 Bms 4510nd Planar Driver Tweeter Line Array Waveguide 8 ohm. BMS 4510ND 8 OHM usati, perfettamente funzionanti! Prezzo riferito al singolo pezzo. Monacor Breitband Lautsprecher SPH-30 X /8. Kammwerk Leergehäuse. MAX Nennbelastbarkeit. mm Gewicht. Maximale Belastbarkeit. mm Einbautiefe 42 mm. MAX ) ±2,0 mm Eff. Lineare Auslenkung (X.
Uscita 8Ω amplificata. Potenza max: 150W. Porta usb: Sì. Woofer: 10” (25cm). Lettore mp3: Sì. Altri dati Potenza rms: 100W. Porta USB/SD MMC. TWEETER TITANIO 1?. MIXER 3 INGRESSI. Ingresso audio RCA per PC ed uscita main mix XLR. Cassa attiva 2 vie. Amplificatore a 2 vie classe AB. Driver HF 1" in titanio. Note importanti. Catalogo completo delle eccezioni al diritto di recesso. Speakon to 1/4" Connectors. SPEAKER CABLES. RACK CASES. PA SPEAKERS. 14 Gauge Wire. We stand behind our products. Length: 25 Feet. One Year Warranty. Ingresso AUX ( computer TV, DVD ecc.) Radio FM. 1 Microfono senza filo incluso. 2 ingressi microfono jack 6.3mm. Ingresso AUX. Colore: nero. Case in ABS antigraffio. Caricabatterie in dotazione. RKR RP4 ROCKIT WHITE G3 COPPIA. Sistema: Monitor Attivo, 2 vie. Colore: Bianco. Schermatura magnetica: Si. 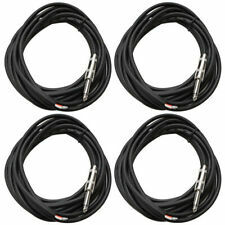 Connettori: Sbilanciato 7kΩ RCA, Bilanciato 1/4" TRS e XLR 10k (Pin 2 & Punta: Caldo Positivo, Pin 3 & Anello: Freddo negativo, Pin 1 & Sleeve: Terra). The quality components combine to produce a very homogeneous sound quality, allowing the loudspeaker to be used as a miniature hi-fi speaker. Compact design with neodymium magnet. A 4cm (1.6in.). Net weight: 28g. DRIVER 1,35?. EQUALIZZATORE 2 BANDE. BEHRINGER B215D - CASSA ATTIVA LIVE DA 550 WATT CON WOOFER DA 15" E DRIVER DA 1,35". Abbiamo realizzato dalla nostra notevole esperienza per costruire questi diffusori, prestazioni di prima scelta, che li hanno resi pi— leggeri e pi— potenti iniziando dalla B215D fino a tutta la sua gamma di diffusori superiori. Stream your favourite music or internet radio station like Pandora or Spotify, quickly and easily, wirelessly from your Bluetooth enabled device. Customise how you would like to use the 3 wireless microphones supplied with this speaker, you can choose to use either 2 handheld microphones together for all your Karaoke and public talking needs or you can use 1 handheld and 1 headband microphone for public performing, fitness classes or any application where you will need to have your hands free. MACKIE CR4 COPPIA MONITOR DA STUDIO 50 WATT WOOFER 4? TWEETER .75? In pi— sono inclusi tutti i cavi necessari per iniziare ad usarli subito. Con i monitor Mackie Creative Reference, si ottengono una qualit… del suono e funzionalit… professionali in un design compatto da scrivania. Kabel & Zubehör. Timo Schmitz Sound & Light ist seit 2017 im berreich der Veranstaltungstechnik aktiv. Seit Anfang 2019 haben wir unsere Online Verkauf vergrößert und verbessert. Suchen Sie etwas bestimmtes?. San Brizio n.124, 06049 Spoleto (PG) - Italia - P.IVA e CF: IT0354857054 - SIGLA PROVINCIA E N. REA: PG-297192. San Brizio n.124, 06049 Spoleto (PG) - Italia”. Gli Utenti dichiarano di essere maggiorenni secondo la legislazione loro applicabile. So klein und doch so effektiv. Lampen & Schreibtischleuchten. Schalter für An/Aus/Sirene. PC-Karten- & Denkspiele. PC-Spiele für Kinder. Sehr transportfreudige Maße: ca. Ø 10 x 15 cm. Sie können auch einfach die eingebaute Sirene für sich sprechen lassen. MACKIE CR5BT. CRBT series is also equipped with Bluetooth receiver for audio streaming from your smartphone or tablet. In addition this includes all cables needed to start using them right away. Mackie monitors Creative Reference, you get sound quality and professional features in a compact design. „Der SPA-112PA bietet ausgezeichnete akustische Qualitäten nebst komfortabler Pegelfestigkeit. „Bietet ausgezeichnete akustische Qualitäten nebst komfortabler Pegelfestigkeit. Der Preis für diese Leistung fällt geradezu verblüffend günstig aus.”. Model Ciare 12.50w1. Werben und die Rückkehr zu uns die Ware, schicken ihn auf seine Kosten! Price for 1 pcs. BOSE Emblem, BOSE Logo, BOSE Aufkleber, BOSE Deccal Sticker. 10x Stück/Pieces BOSE Emblem, BOSE Logo, BOSE Aufkleber, BOSE Deccal Sticker. Modell : Black Chrom. BOSE Emblem, BOSE Logo, BOSE Aufkleber, BOSE Deccal Sticker. 10 x Stück/Pieces BOSE Emblem, BOSE Logo, BOSE Aufkleber, BOSE Deccal Sticker. Modell : Chrom Black. BOSE Emblem, BOSE Logo, BOSE Aufkleber, BOSE Deccal Sticker. 10 x Stück/Pieces BOSE Emblem, BOSE Logo, BOSE Aufkleber, BOSE Deccal Sticker. Modell : Black Silver. BOSE Emblem, BOSE Logo, BOSE Aufkleber, BOSE Deccal Sticker. 10 x Stück/Pieces BOSE Emblem, BOSE Logo, BOSE Aufkleber, BOSE Deccal Sticker. Modell : Gold Black. BOSE Emblem, BOSE Logo, BOSE Aufkleber, BOSE Deccal Sticker. 10 x Stück/Pieces BOSE Emblem, BOSE Logo, BOSE Aufkleber, BOSE Deccal Sticker. Modell : Black Gold. BEHRINGER VS1520 EUROLIVE CASSA PASSIVA 600 WATT 2 VIE WOOFER 15? L'estesa banda di frequenze e l'ampia gamma dinamica rendono il VS1520 ideale per una moltitudine di applicazioni. BEHRINGERVS1520 - CASSE PASSIVEA 2 VIE DA 60 0 WATT CON WOOFER DA 15". Note importanti. 1 Paar 2" Mitteltontreiber Dal ?